Our preschool offers classes for two, three, and four year old children. 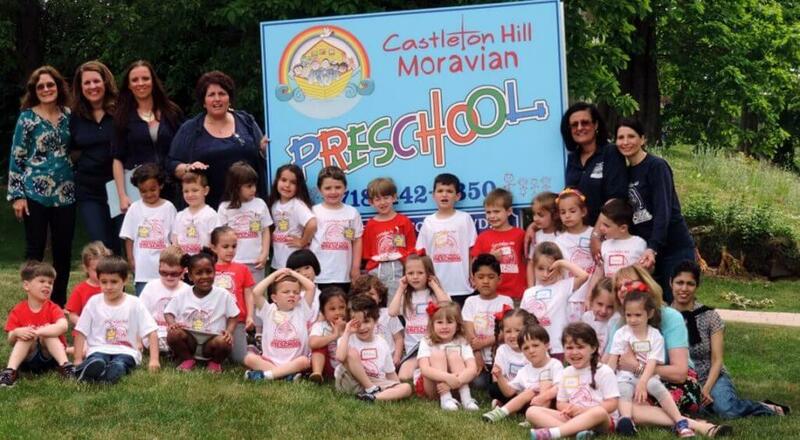 For more information about the preschool, please check out the preschool website at CastletonHillPreschool.com or call the preschool office at (718) 442-5350. The preschool is a ministry of our congregation. Twice a month, the preschool classes come to the sanctuary for devotions with the Pastor. The stories and songs explored in devotions are often the springboard for our Family-Friendly Worship Services which we encourage all our Preschool families to attend.